According to TMZ Sports, WBA super featherweight world champion Gervonta Davis is the subject of a police investigation after an alleged physical altercation with police. Davis -- Floyd Mayweather's top protege -- was at an upscale mall in Virginia on February 17 when he got into it with another man at an ATM machine. One witness told TMZ that Davis began shouting at the man and cops were called to the scene. When officers arrived, the outlet alleges that Gervonta acted hostile toward the cops. 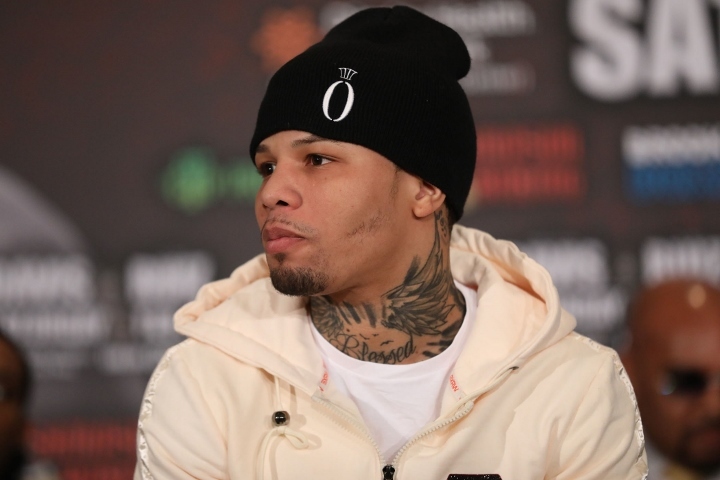 TMZ spoke to one person who alleged that he saw watched Gervonta shove one of the officers while screaming obscenities while his friends were desperately trying to restrain him. TMZ spoke with the Fairfax County Police Dept. who would only confirm there was an "interaction" and/or an "encounter" with Davis ... and that an investigation is ongoing. Cops also informed that Davis was not formally arrested. Davis, who earlier this month went to 21-0 after demolishing Hugo Ruiz in one round for knockout number 20 -- is already a 2-time super featherweight world champ. Mayweather recently told TMZ Sports he's got big plans for Davis as a fighter ... with a potential fight in the future with undefeated prospect Ryan Garcia. Unfortunately for Davis, he's no stranger to police drama ... he was arrested back in September after allegedly getting into a fist fight in the streets in Washington D.C. According that the police report, Davis and another man duked it out -- "punching each other with a closed fist about the upper body." Several people tried to break it up but the two guys tried to flee -- until cops swooped in and picked them both up. That case is still ongoing.